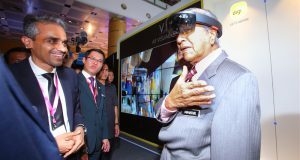 U Mobile Sdn Bhd, one of the major mobile operator in Malaysia and ZTE Corporation, an international provider of telecommunications, enterprise and consumer technology solutions, today signed a Memorandum of Understanding (MOU) to accelerate 5G technology in Malaysia. L-R: Woon Ooi Yuen, Chief Technology Officer of U Mobile; Wong Heang Tuck, Chief Executive Officer of U Mobile; Steven Ge, Managing Director of ZTE Malaysia; Dr Han Gang, Vice President of ZTE TDD and 5G Products. ZTE is a major network partner of U Mobile. The existing U Mobile 3G and 4G LTE network are mostly built using ZTE product and solutions. 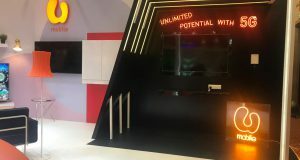 At the signing, U Mobile said that it plans to implement massive MIMO for faster download speeds in selected ares and also “Live Test” 5G in Kuala Lumpur (KL) city area. MIMO stands for Multiple-input multiple-output. MIMO involves multiple technologies but it basically means transmitting and receiving of more than one data signal simultaneously over the same radio channel. Standard MIMO networks tend to use two or four antennas. Massive MIMO, on the other hand, is a MIMO system with a high number of radio antennas. 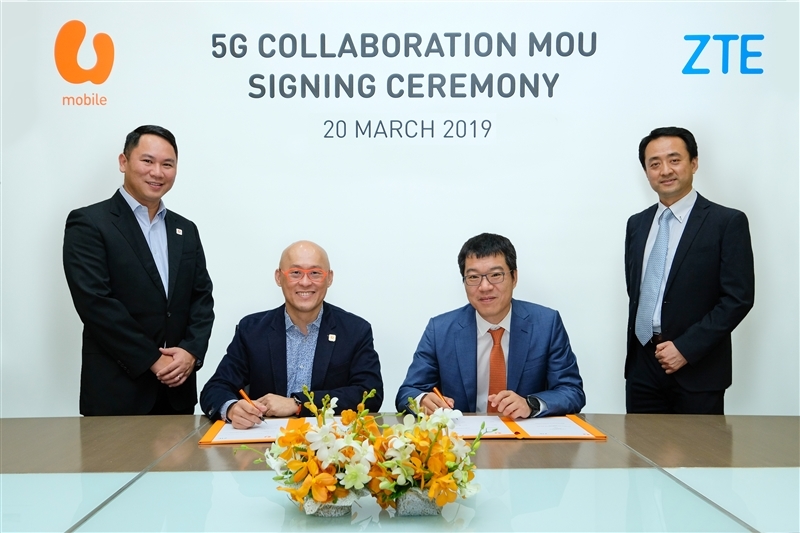 The partnership will see both parties collaborating on various 5G related developments including testing, showcases as well as the implementation of Massive MIMO as part of the U Mobile’s journey to 5G.